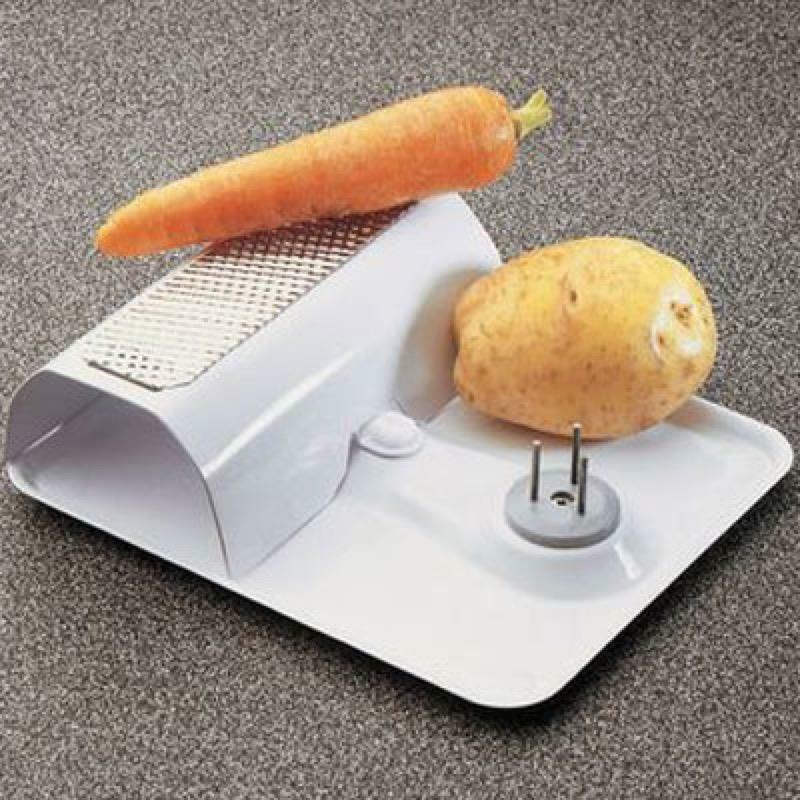 This Clyde Grater, Scraper & Spike is a useful device that has a grating unit with a plated metal mesh blade for peeling or grating. This Clyde Grater, Scraper & Spike is a useful device that has a grating unit with a plated metal mesh blade for peeling or grating, also has a stainless steel spike for holding vegetables when peeling manually. Product Size 7 3/7 x 9 x 2 3/4"